First opened in 1879, Birks is Canada’s first jewelry chain. For its store in Laval, Quebec, the company wanted a flexible, new lighting system that would help bring out the best in their products. 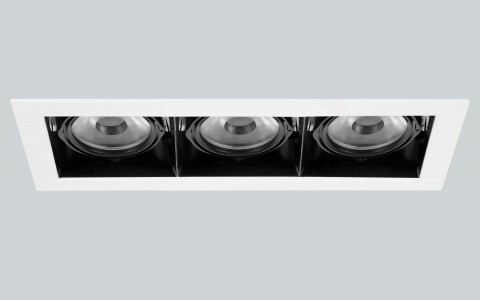 Birks turned to design and architect firm Ædifica, who chose a mix of downlights in 3000K and 3500K. 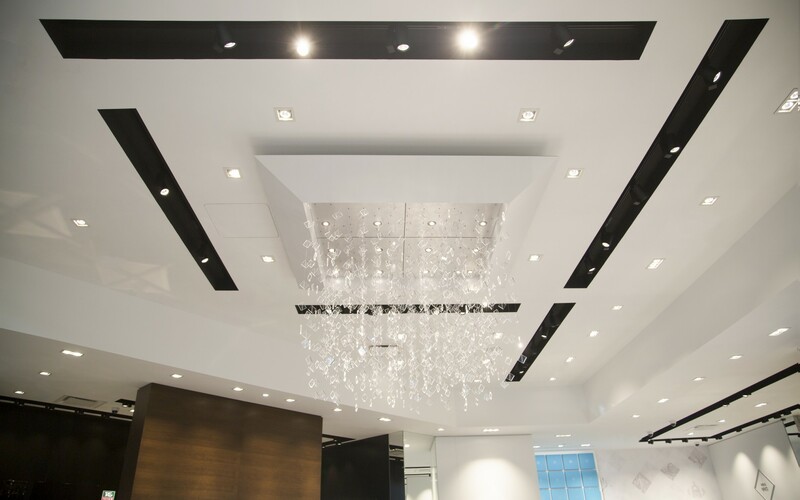 Installed in the ceiling throughout the store, the luminaires illuminate the displays, while also providing general lighting for the sales floor. 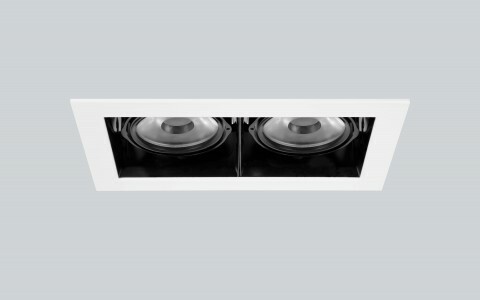 Spot Small fixtures were installed in black niches throughout the store. 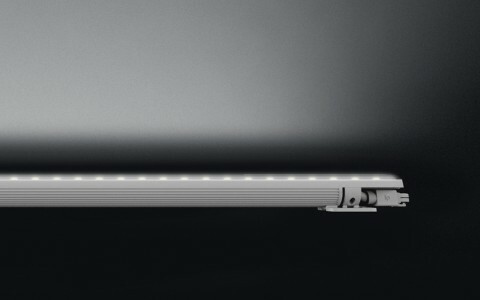 Fully adjustable, the luminaires increases the store's flexibility, allowing it to change display lighting, as needed. 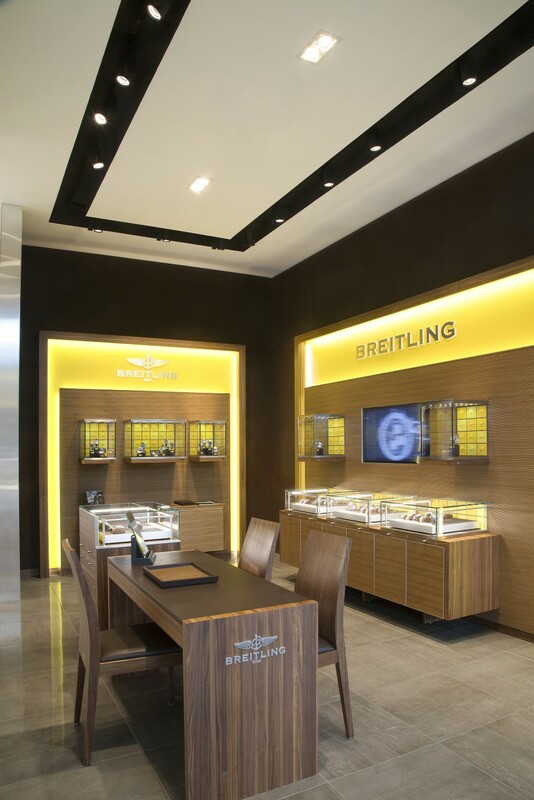 Ædifica used Multi 1, Multi 2 and Multi 3 Downlights, as well as Spot Small luminaires for a flexible lighting system that increases flexibility and brings out the best in Birks' jewels and products. 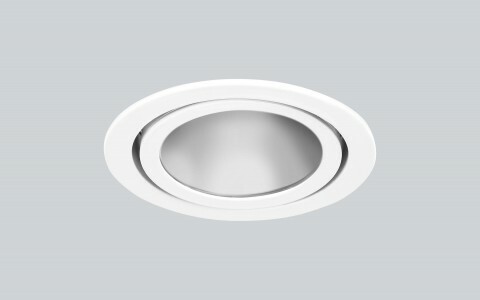 We chose Lumenpulse luminaires in particular for their easy installation. As well, the outstanding customer service facilitated the entire design process, as well as installation. Lumenpulse supported our experts throughout, and made sure we found the ideal solutions for this project. It was a rich collaboration that was really appreciated by our team! 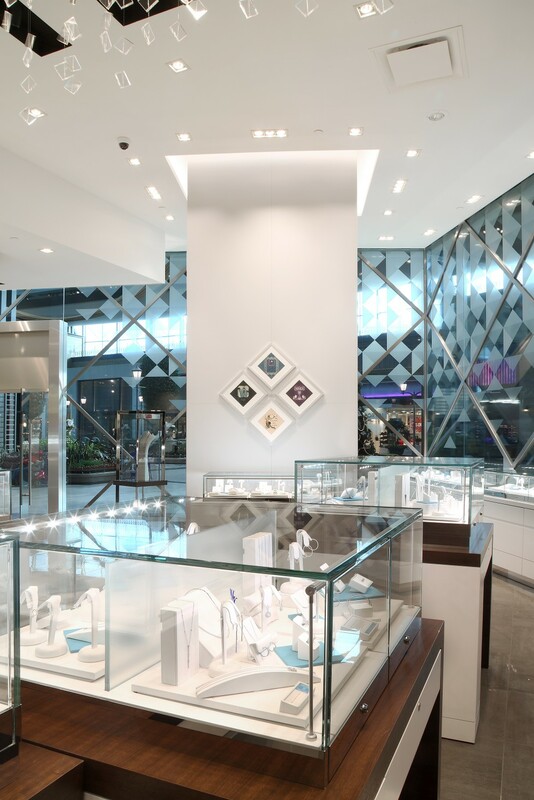 Birks is Canada's first jewelry chain in Canada, with the opening of its Square Philips flagship store in 1879. 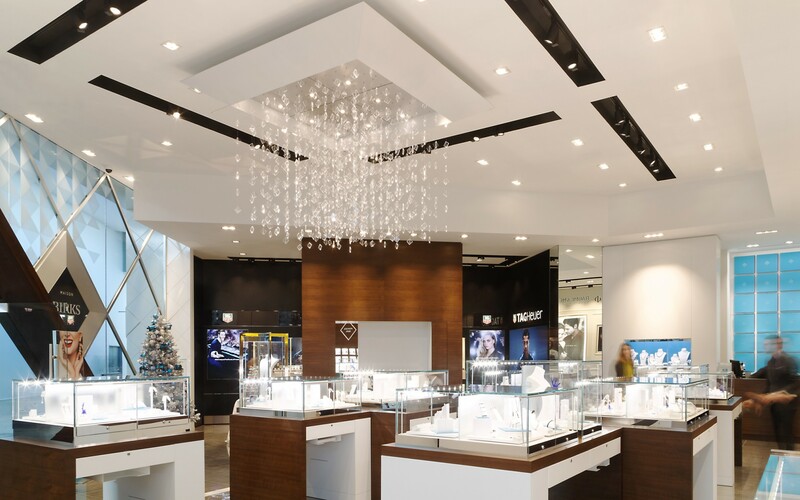 In order to better illuminate the jewels from its Carrefour Laval store, the Canadian company partnered with the design and architect firm Ædifica, which then collaborated with Lumenpulse, with whom it has been working for years. 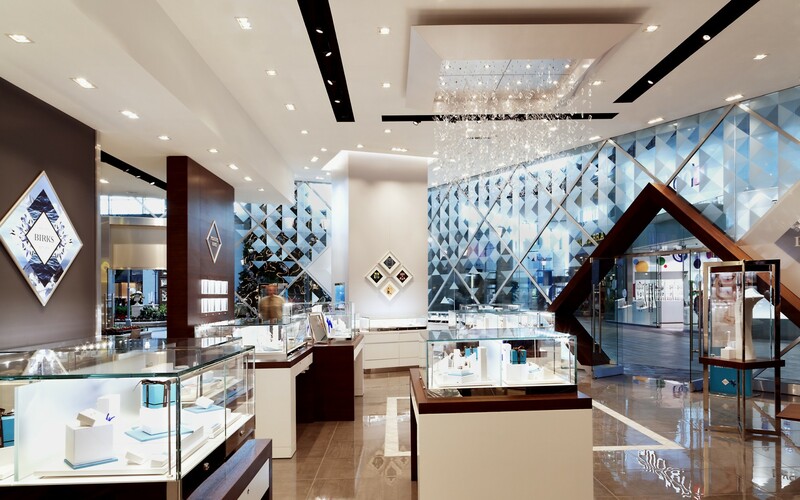 ''The store wanted a new lighting to highlight its jewelry and products and to showcase those under their best facet thanks to an optimal lighting strategy,'' says Myriam Boutin, Architect and Director, Retail department at Ædifica. Diamonds reflect cold light better, whereas gold reflects warm light better, so the challenge was to find the perfect balance between various sources of light. ''The main lighting challenges consisted in using judiciously the lighting sources and the light colors to illuminate the jewels at their best, and also to insure an optimal positioning of the lighting (angles, distance, etc.) to favor the products' shimmering effects,'' says Boutin. 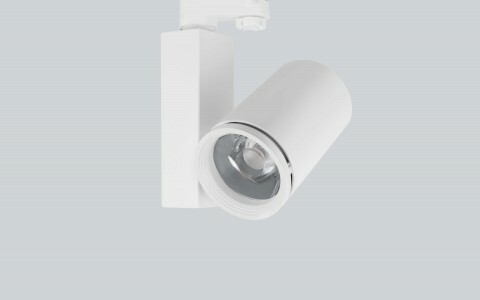 To achieve this, the firm chose a mix of Multi 1, Multi 2 and Multi 3 Downlights in 3000K and 3500K. 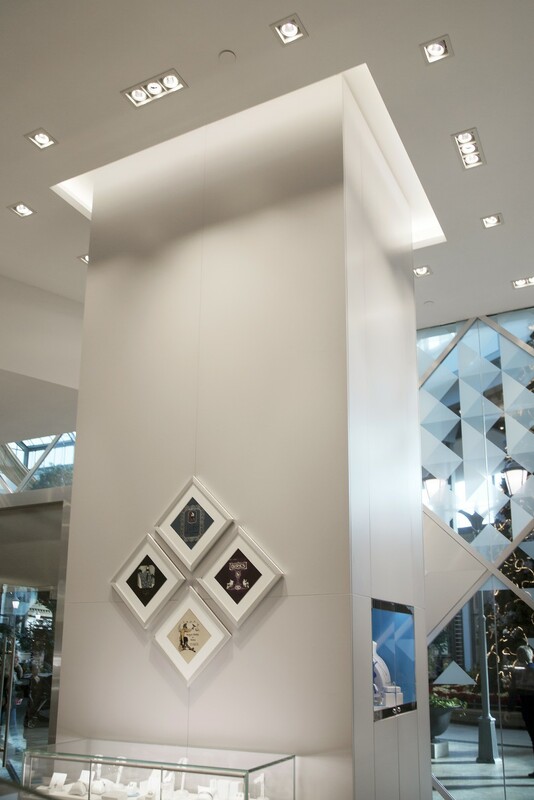 Installed on the ceiling throughout the store, the luminaires illuminate displays case, while also providing bright general lighting. 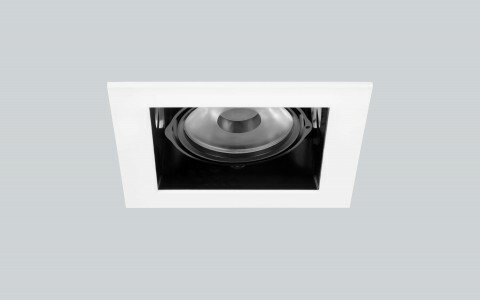 Spot Small luminaires were then installed in the black niche above the center of the boutique. 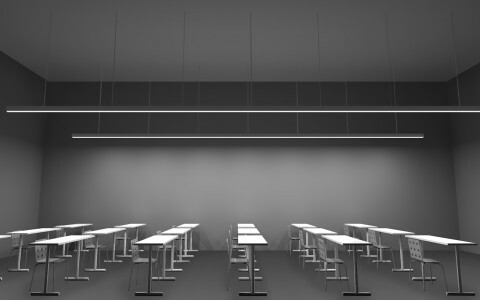 Fully adjustable, the luminaires increases the store's flexibility, allowing it to change or enhance display lighting, as needed. The mix of color temperatures creates an evenness in the overall lighting scheme, with warmer light bringing out the character in gold items, and cooler temperatures helping to accentuate the sparkle of the diamonds. 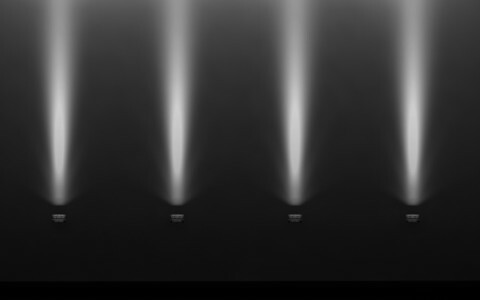 ''Particular attention was taken to insure that light suggests a continuous surface and not an impression of lighting lines,'' says Boutin. ''We chose Lumenpulse luminaires for their easy installation. As well, the outstanding customer service facilitated the entire design process, as well as installation. Lumenpulse supported our experts throughout, and made sure we found the ideal solutions for this project. It was a rich collaboration that was really appreciated by our team!'' says Boutin.